This is the first time that I’m doing a Top 5 list for the year, but there shall be many more to come as the blog continues to exist. This was a great year for films and there are a lot of films I’m going to mention that didn’t make the list that I still think you should watch, again this was a great year for films. The films that made the list are ones that stand out to me though and are ones that I plan to own and would watch multiple times…these are the movies that stand on their own as a film and are the best of the best for this year. So, before I get into the list, here are the honorary mentions. “Big Hero 6” Disney Studios did it again, it’s rich and deep and worth seeing. “X-Men Days of Future Past,” Bryan Singer is back and the X-Men series is great again. “Gone Girl” and “Interstellar” almost made the list but after re-reading my reviews I realized that the problems they have don’t elevate them to best of the best. Still worth seeing, “The Book of Life,” excellent animation and story, which “How to Train Your Dragon 2” also did and had loss, in a kids film just like “Big Hero 6.” This was a good year for animated stories. None of these are in the top 5 though, but you should still check them out. Also, “Mockingjay Part 1” is the best of that Franchise so far too. This script is hilarious, the characters are rich and you know what…you will care about what happens to a talking Racoon and a Tree Alien that can only say, “I am Groot.” That is the magic of this story as it shows just how expansive the marvel universe really is. James Gunn is clearly the right guy to be put in charge of this franchise and I can’t wait to see how he expands the universe. These characters are broken and flawed and we love them because of it. They are forced to grow from the mistakes they make and they learn to care about each other. It also has a rocking soundtrack full of that 70’s rock n’ roll that adds humor to scenes and provides an epic feel in many scenes. My issue with why it isn’t higher on the list are two reasons…Thanos is just kind of hanging around, and Gamora’s development doesn’t really happen. The guys have great character arcs, but Gamora doesn’t get enough screen time for her character and and her character’s motivations to be developed. Still made the top 5 for a reason though. Definitely worth checking out and multiple watches. It truly is a masterpiece. I didn’t care about Captain America in “Captain America: The First Avenger,” after “Winter Soldier” he is my favorite member of the Avengers. 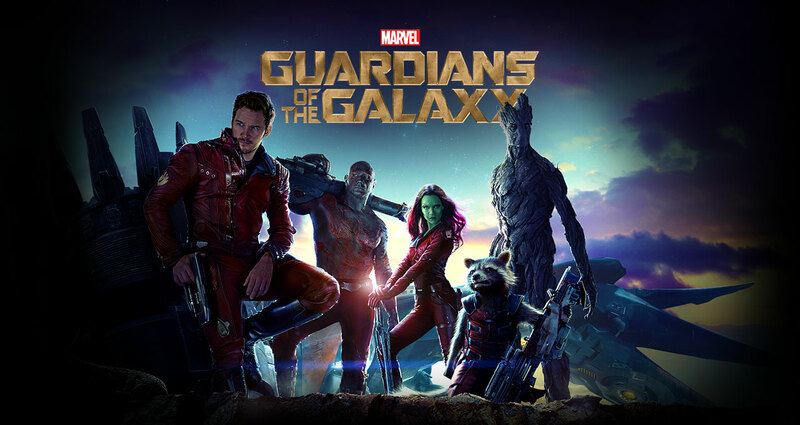 This is a movie with consequences which “Guardians of the Galaxy” lacked in regards to the Marvel Continuity. One of the major parts of the world is destroyed and we learn that one of the enemies that was a nobody enemy before is like a virus in the world of Marvel. This is powerful as we finally have an enemy that feels like a threat, Captain America has to wrestle with being a moral hero in questionable situations where there isn’t a clear good or bad. Hell, the bad guy is sympathetic even though he only appears in this movie. We also realize just how complicated Black Widow is, it was this movie that made me want the Black Widow film…her story is rich and we get glimpses of this in this film. We are also introduced to Falcon who is one of my favorite characters now in the Marvel Cinematic Universe. He may someday be Captain America’s replacement too when Chris Evans leaves, at least the new comics leave that option open which makes me happy. Again, this is a movie with consequences in the world of Marvel as a whole and has so many rich characters who all receive development. The scenes at the end also set up “Age of Ultron” really well in regards to two characters who will be appearing in it. 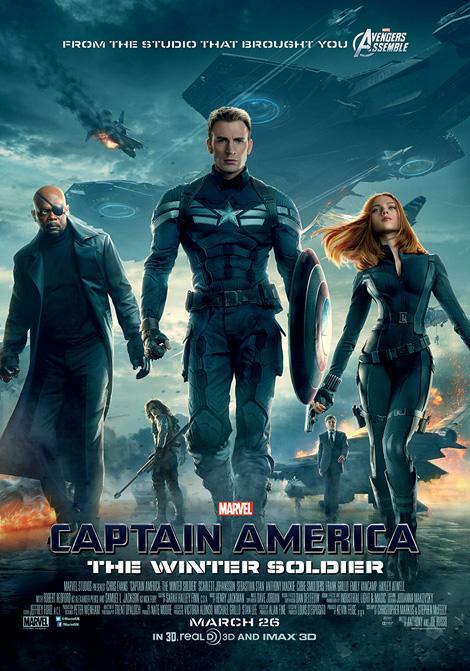 Only issue with the film is that the Winter Soldier doesn’t get enough of development. He is a force of nature more than anything else. Still worth checking out though. 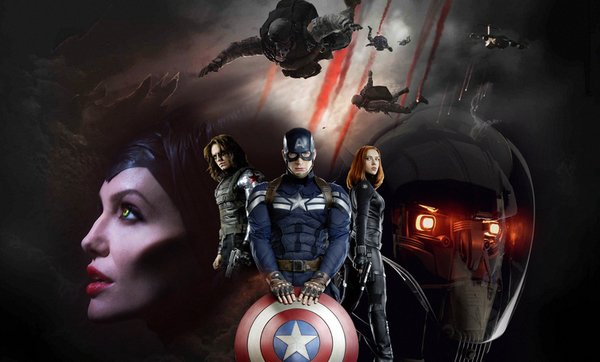 It’s my favorite of the Disney Marvel films so far and stands strong on it’s own as a part of the greater whole. Not only that the issue of freedom and security is addressed in an awesome matter. It answers the “So what?” in regards to it’s own existence better than any Marvel film prior. Alejandro truly created a masterpiece here. This movie critiques the culture of New York City, reveals the nature of lies (acting in a way is a lie, playing pretend and people want the lie for the story) and dealing with Ego and pride as Michael Keaton plays his greatest character so far in his best performance of all time. Not only does the film deal with issue that actually matter and how to grow beyond the ego and have an all star cast but it also has beautiful cinematography and the music which as a constant drum throughout is great at adding tension. This film was also filmed to look like a continuous shot so you feel like you are in a lived in world. The characters are all flawed and all of them are forced to grow from circumstances and situations. My only issue with this film is the ambiguous ending. So much of the film is about breaking out of ambiguity which is embraced at the end which sadly takes away from what could have been a perfect film. I put it above “Winter Soldier” and “Guardians of the Galaxy” even though it has a lower score since it is an original film and not part of a franchise. In the era of franchises I greatly value the self-contained story. Final Score: 9.7 / 10. 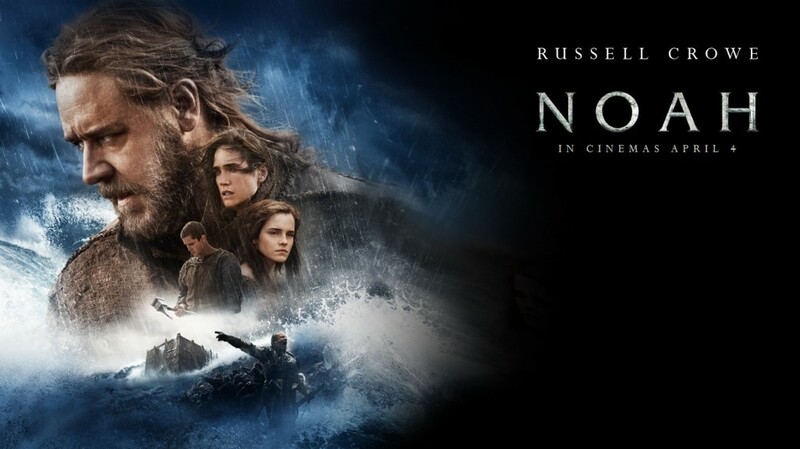 “Noah” is the best of Darren Aronofsky’s work in my opinion. It has a much better reason for it’s existence than “Black Swan” which is another favorite film and tackles if humanity is truly worth saving. It also has some of the best cinematography I’ve seen in any movie. 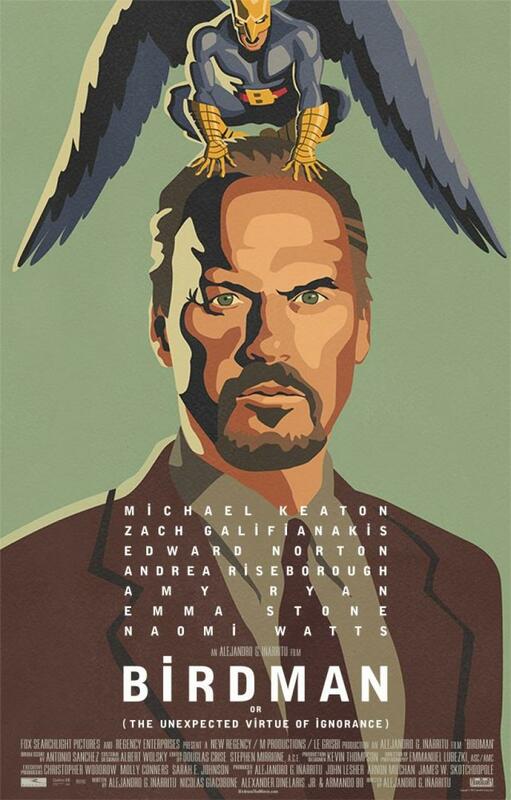 What elevates this film above “Birdman” it isn’t ambiguous. “Noah” is mad clearly and God is an abstract. It’s such a beautiful take on a mythological tale that I can’t help but appreciate it simply for existing. It gives fallen angels the look of giant rock golems and we see just how dark humanity can become and just how flawed Noah and his family are. There are no heroes in this film which gives the dilemma of humanity being worth saving truly an issue. It’s dark which is what Aronofsky’s specializes in, though as far as the ending goes it is more bittersweet than some of his other films… which is saying something, given the premise of Noah is mass genocide of the human race. Great performances from Connelly, Watson and Crowe as well. Some of the best work I’ve seen from all of them. Definitely check it out if you like dark films with a point. The greatest film of 2014 goes to “The Grand Budapest Hotel.” This film tackles the very nature of story in that it is presented to us as the author talking about the book, which before is lead into with a child reading the book, “The Grand Budapest Hotel” at his monument. From here the richness only goes deeper as we see a country torn apart by war and corruption that our heroes live in. From the refugee Zero finding love with Agatha as they are both poor people with nothing except each other and Gustave H. who lives only for them and The Grand Budapest Hotel which is his legacy and what he puts his lifeblood into. The film explores the nature of humanity and we see cowards, heroes, villains and people of all types living in a harsh world where the people who have the ability to push forth their will use it to supress others…from the outcast immigrants like Zero, to Gustave H. because he doesn’t come from money and was loved by an old woman who was old money. This film shows us that family is more than blood and that sorrow can be around any corner, just like the good moments and adventures we have will always be with us. 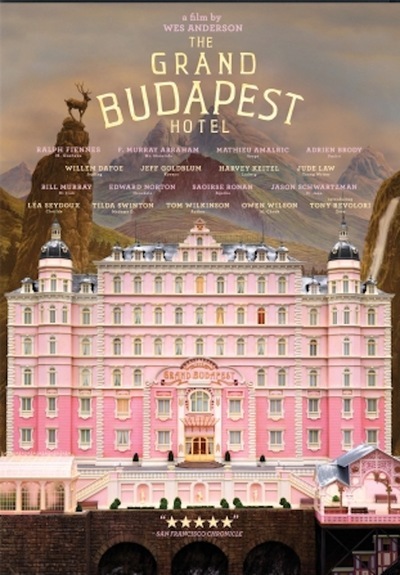 This is the best Wes Anderson film and one of my favorite film of all times. If you are looking for a timeless film and the best film of 2014, check this one out. It is worth every bit of praise it has received and is one of the greatest films of all time.